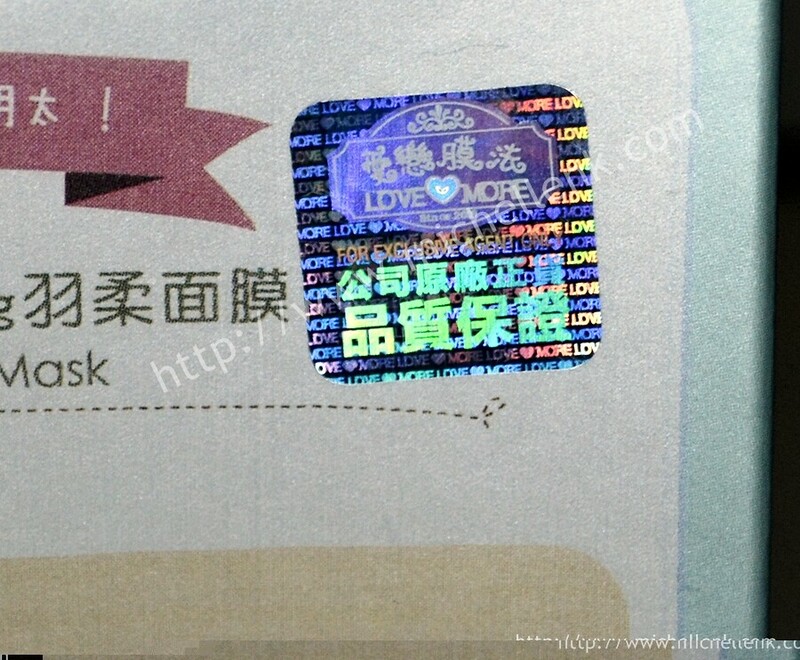 Lovemore has launched a new product range this time, and its the French Caviar Anti-Wrinkle & Firming mask! 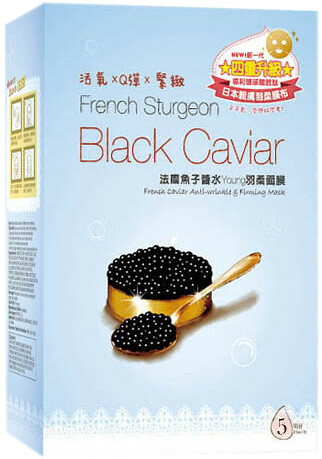 French caviar, we all know how expensive and beneficial to us, and to frank, I've never tried it before! (embarrassed) But today, I can finally "eat" it, with my face! 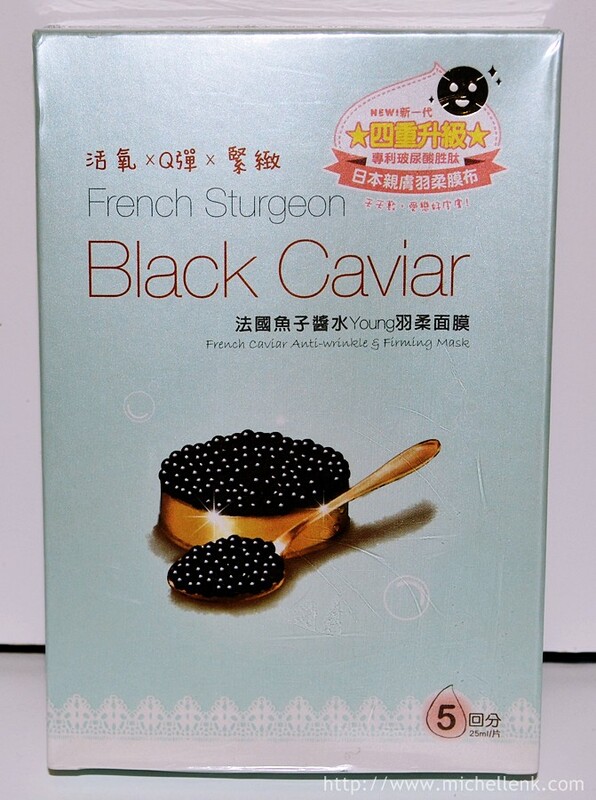 Black Carviar essence from French Beluga provides intensified collagen; help skin to restore its moisture, revealing a hydrated, softer and radiant complexion! 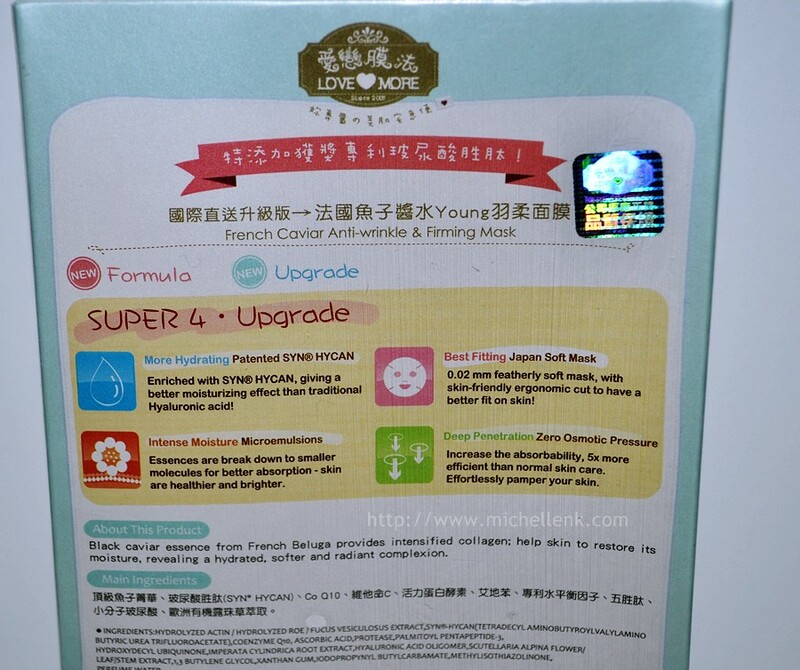 The mask is so slim and thin that it actually adheres to my skin nicely! 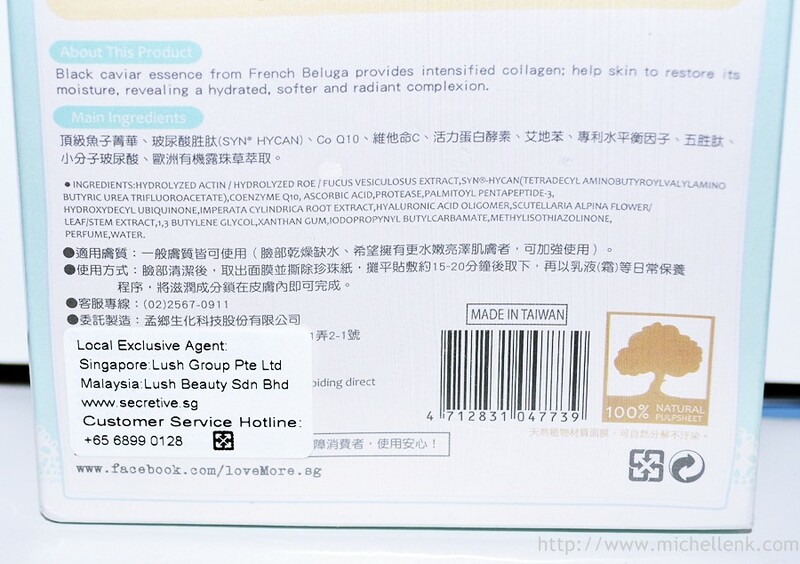 I placed it in my cooler for minutes and applied it on straight on my face, the instant cooling effect makes me feel so much better, especially when my face is screaming for hydration! I would strongly recommend you guys to try it. 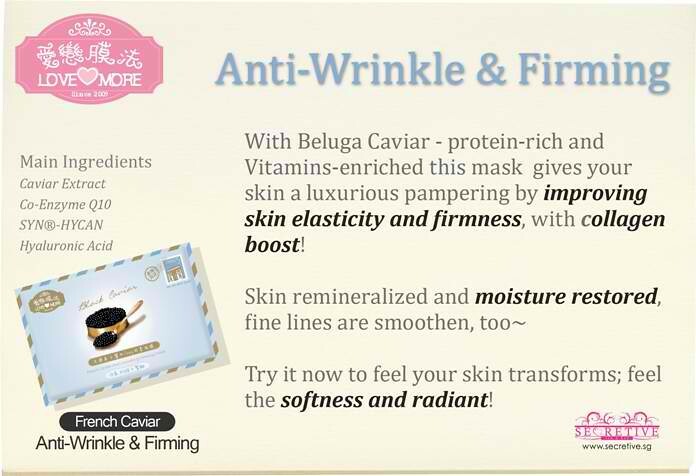 Buy a box or two and use it few times a week, and especially if you have a big event to attend the following day. 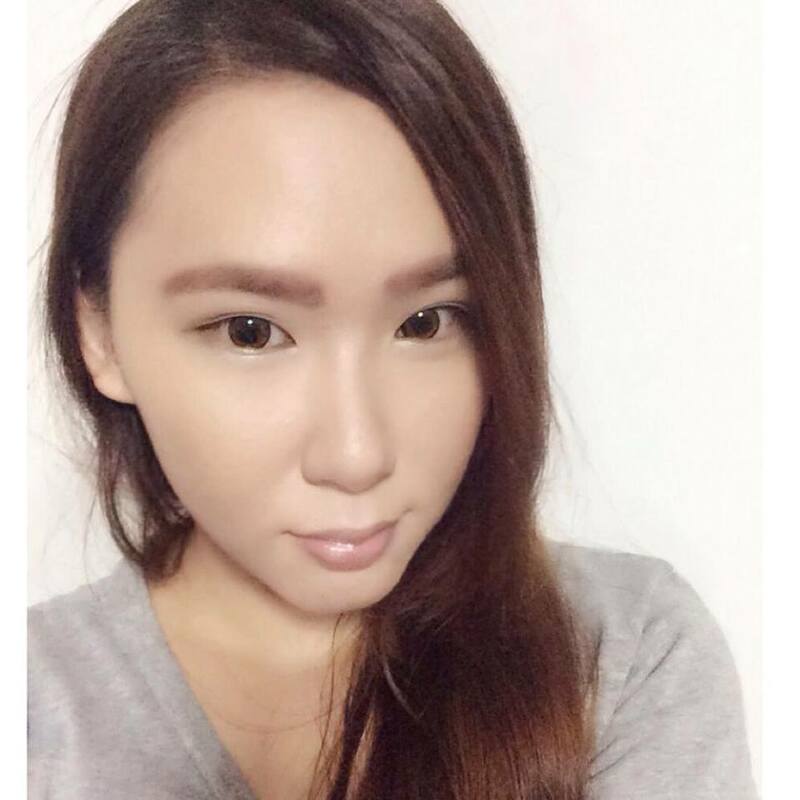 I was having minor breakout due to some food allergies and all thanks to the mask, it soothes my skin and my pimples becomes smaller and heals so much faster! 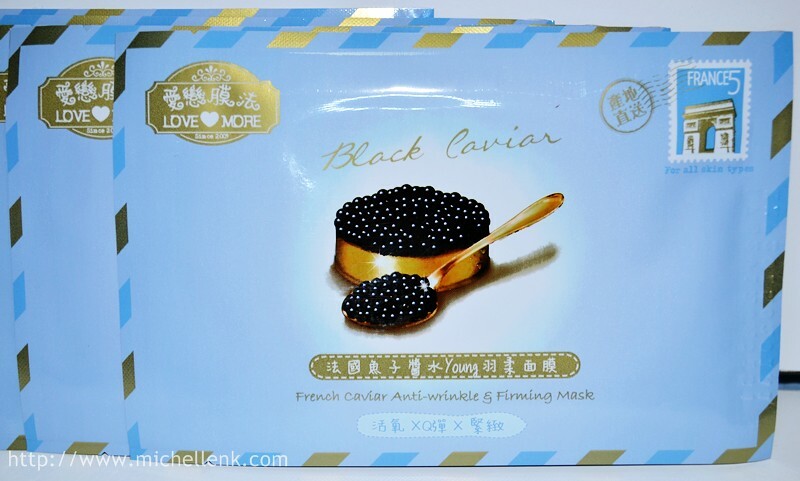 Lovemore French Caviar Anti-Wrinkle & Firming Mask is available at Secretive.sg at the price of Sgd$8.90 for a box of 5 pieces.